After round 4 piece is 4.5” wide. This is part of the MishMash KCAL 2018 Handmade By Hev & I are hosting. 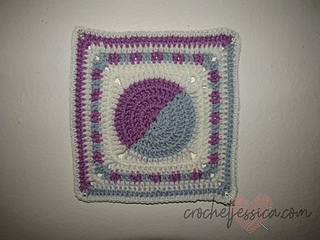 April 2018 Square - Half & Half is the third crocheted square for this KCAL. You can see more by going to the ebook link here on Ravelry. This PDF is also on that page available for download.